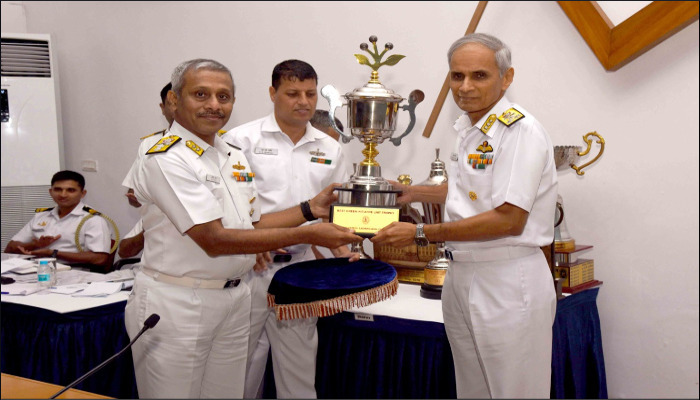 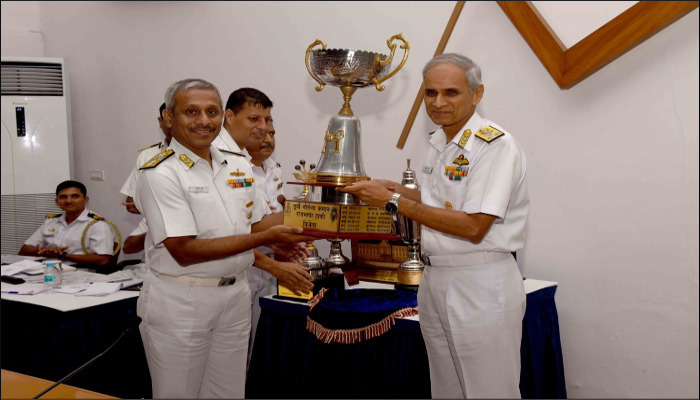 Naval Dockyard, Visakhapatnam was awarded the ‘Eastern Naval Command Rajbhasha Trophy’ for the year 2017 – 18 and INS Dega the runners-up trophy on 26 September 2018 by the FOC-in-C, ENC. 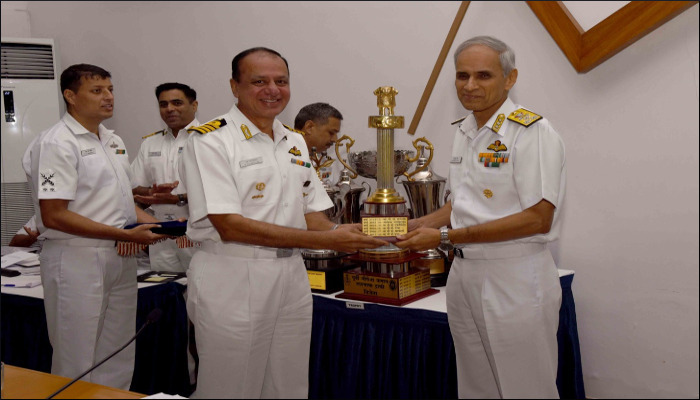 The Trophies are awarded to units for carrying out official work in Hindi. 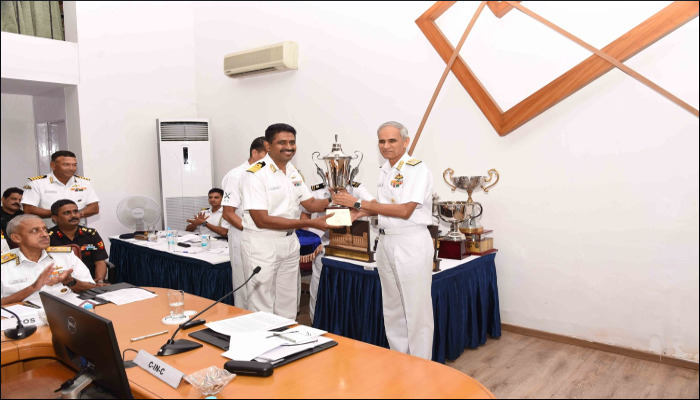 Naval Dockyard, Visakhapatnam was also adjudged as ‘Best Green Initiative Unit’ under ENC for the year 2017-18. 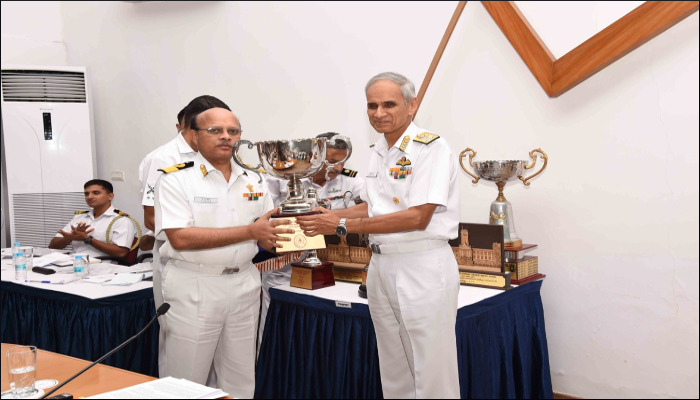 In the ‘Best Environment Friendly Unit - Rolling Trophy’, Category I (Large Unit), INHS Kalyani was adjudged the winner and Material Organisation, Visakhapatnam the runners-up. 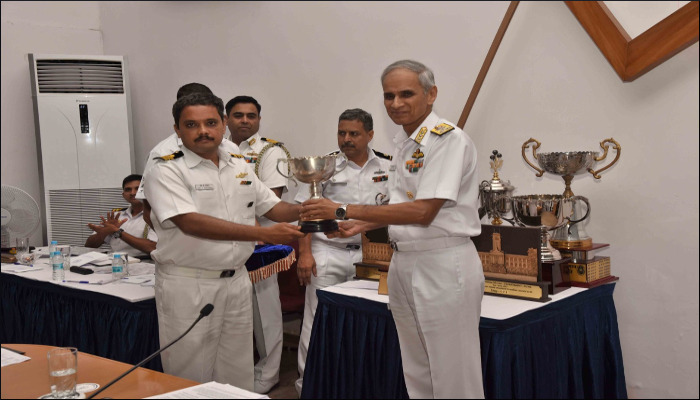 In Category II (Small Unit), Base Victualling Yard, Visakhapatnam was adjudged the winner and Transmitting Station, Avadi the runners-up. 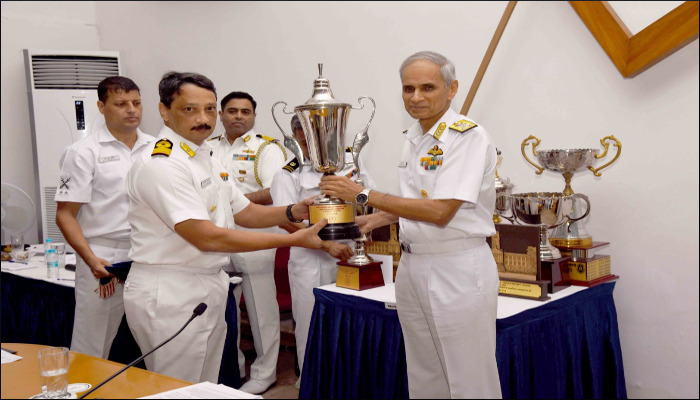 The trophy is awarded to the unit that adopts best environment friendly activities and green practices, which are evaluated through the year.